The company Polo Ralph Lauren is a very upscale retailer and fashion store as well as lifestyle company that sells cloths; footwear's, accessories, fragrance, and it even provide services for the home furnishing, and accessories for the home. The company actually markets the products as under many of the brands as like the Club Monaco, Ralph Lauren home, Baby Ralph Lauren and other such brands for providing the products to its customers. The products of the company are easily available through its different retailer stores; one can even get the products through ecommerce site of the company and even in many of the departmental stores easily. There are currently 1 consumer reviews about Polo Ralph Lauren Corporation available. Share your review. 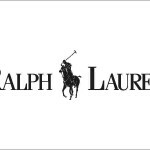 Please take a note that you are about to post a public review about Polo Ralph Lauren Corporation corporate office on CorporateOffice.com. This review will be public, so please do not post any of your personal information on this website. If you would like to contact the corporate offices of Polo Ralph Lauren Corporation, please use their contact information such as their phone number, website, and address listed above to contact them. However, sometimes staff from Polo Ralph Lauren Corporation headquarters do read the reviews on this website.